The charming village of Port Clyde is a busy lobstering community, near the tip of the St. George peninsula, and has access to both Muscongus Bay and Penobscot Bay. 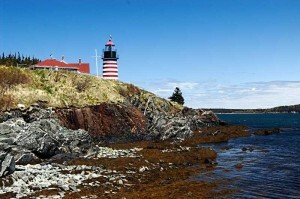 The lighthouse was originally constructed in 1832, to guide mariners into and out of Port Clyde harbor. 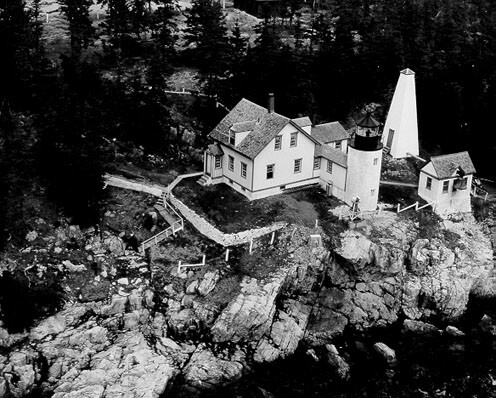 The present 31 foot tower was built in 1857. 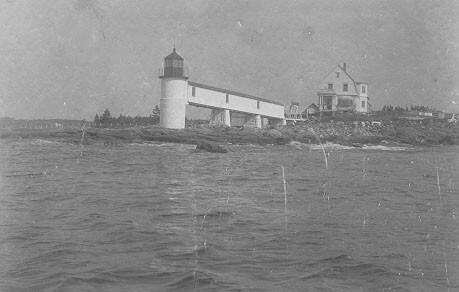 The “new” keepers quarters were built in 1895, after fire destroyed the original keepers’ house. 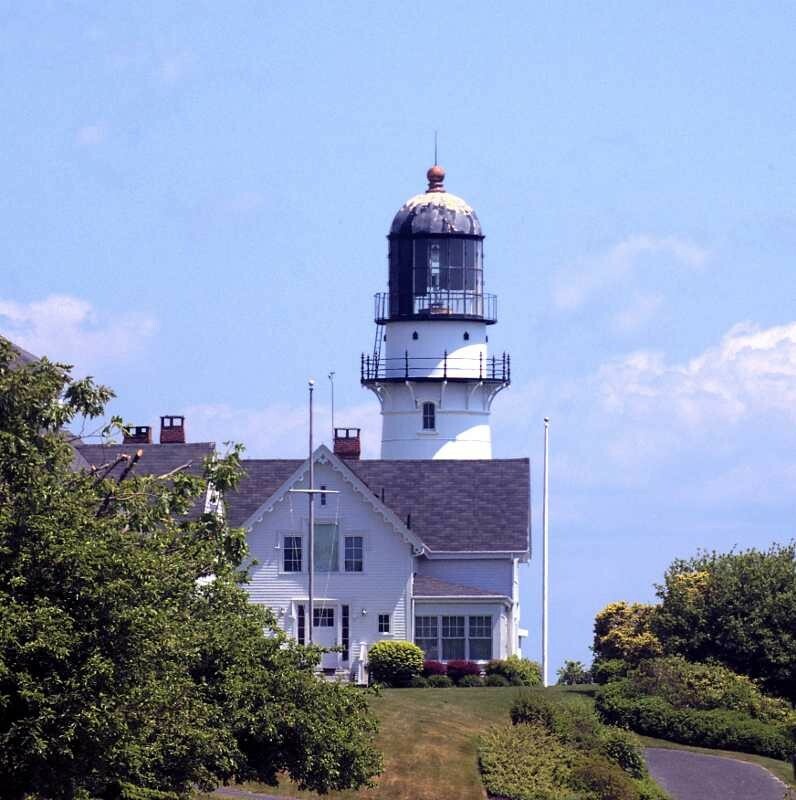 Despite being located at the entrance to a harbor, rather than in a major shipping channel, Marshall Point lighthouse has seen its share of maritime disasters. 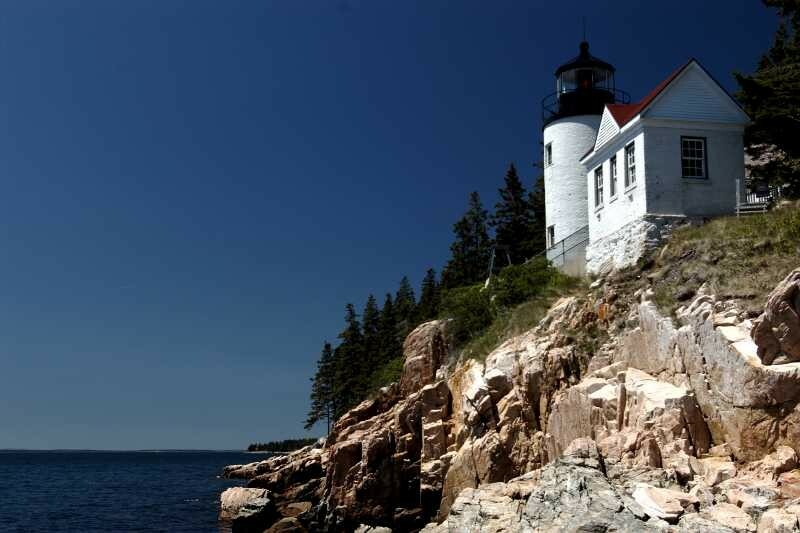 In 1886 a steamer was wrecked on a nearby ledge, but all passengers and crew safely escaped. 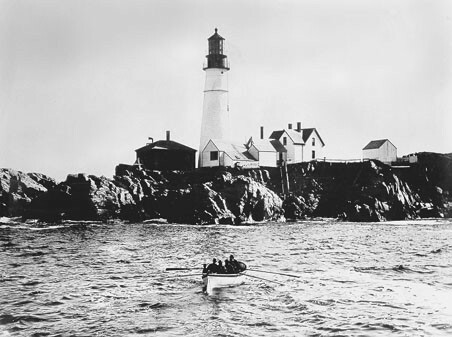 In the 1920’s another steamer struck the ledge, and the crew attempted to escape in a small boat. The boat capsized, and all were lost. 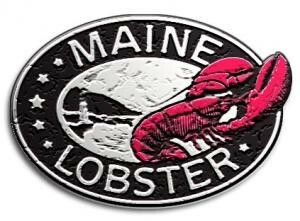 Ironically, they would have been saved if they had remained aboard the steamer, as it did not sink. 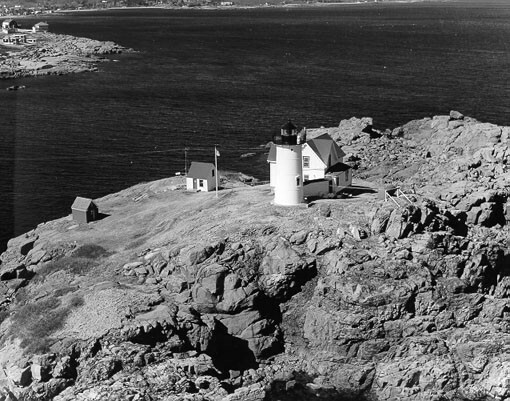 Marshall Point lighthouse was electrified in 1935, and automated in 1971. 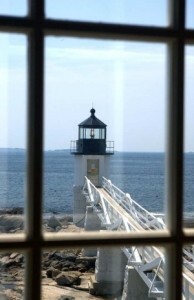 The ground floor of the keepers house now contains the Marshall Point lighthouse museum. Although the light was automated, and there was no need for a traditional lighthouse keeper, Thomas and Lee Ann Szelog applied to live as tenants on the second floor of the keepers house, and did reside there for 14 years, from 1989 to 2002. 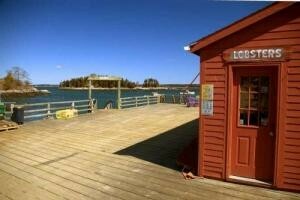 They published a photographic journal of their time at Marshall Point as Our Point of View. 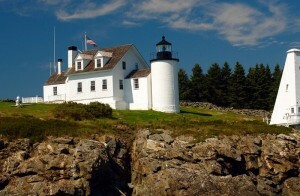 Many may recognize Marshall Point lighthouse from the film, Forrest Gump, as it was the lighthouse where actor Tom Hanks ended his cross-country run. 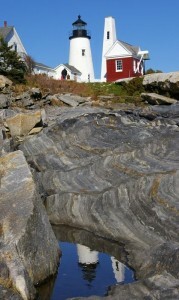 A photo of Hanks hangs in the lighthouse museum. 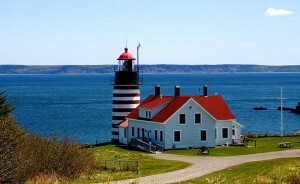 The distinctive red and white stripes of West Quoddy Head Light are readily visible overlooking the Grand Manan Channel and the Bay of Fundy at America’s easternmost point. 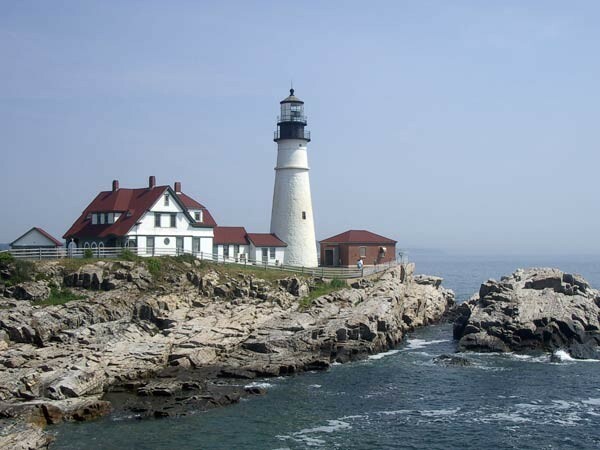 Just off the rocky beach below the lighthouse, Sail Rock protrudes ominously from the surface of the water, ready to tear apart any vessel daring to approach too closely. 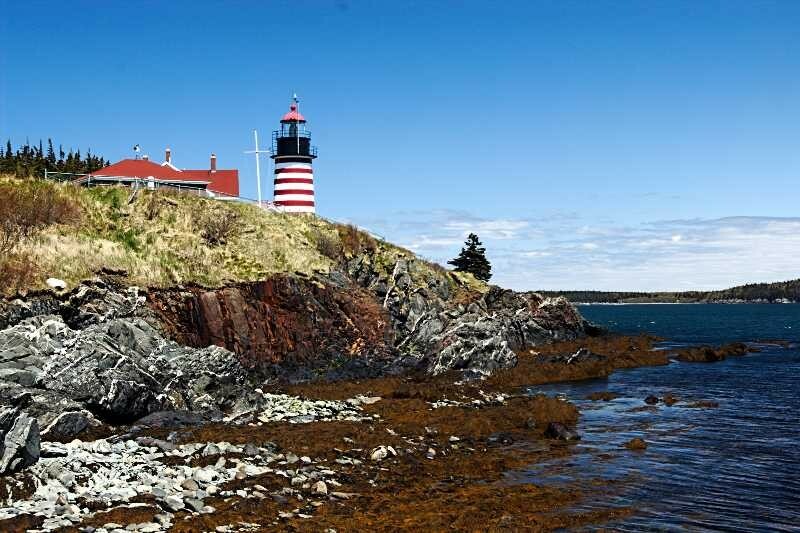 In 1806 a light station was authorized by Congress, to assist mariners traveling in these treacherous waters, just south of Canada’s Campobello Island, and west of Grand Manan Island. 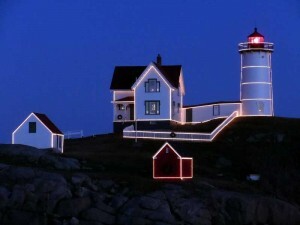 The light station was established in 1808, and a fog signal added in 1820. 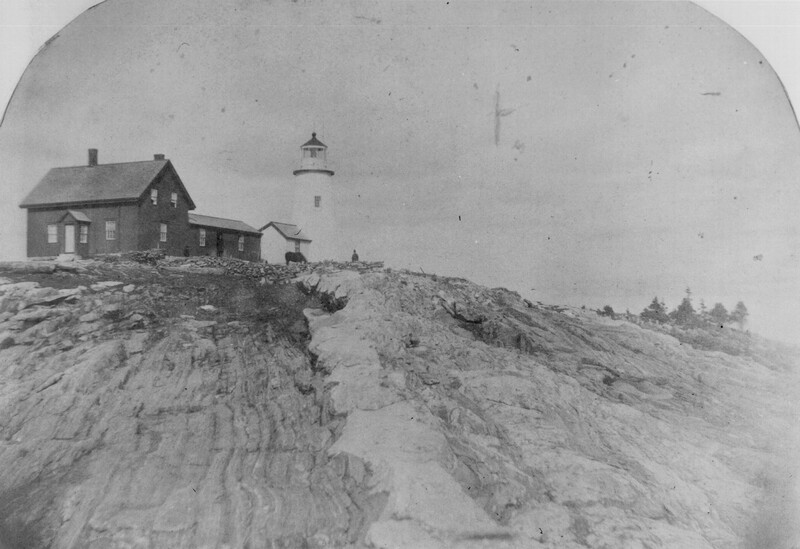 Owing, at least in part, to the harsh winter climate, West Quoddy Light Station was not well-constructed, and not well-maintained, so the tower was rebuilt in 1830, and the present 49 foot tower was constructed in 1857, sitting 83 feet above sea level, with its 35,000 candlepower beacon visible about 18 miles offshore. 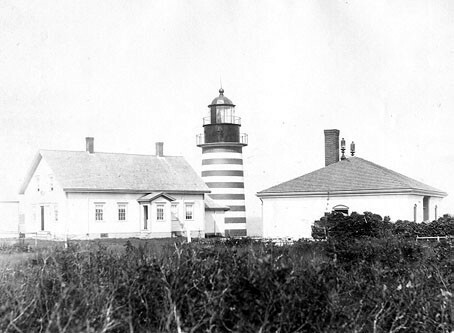 The red and white stripes appear to have been added shortly after the present tower was erected. 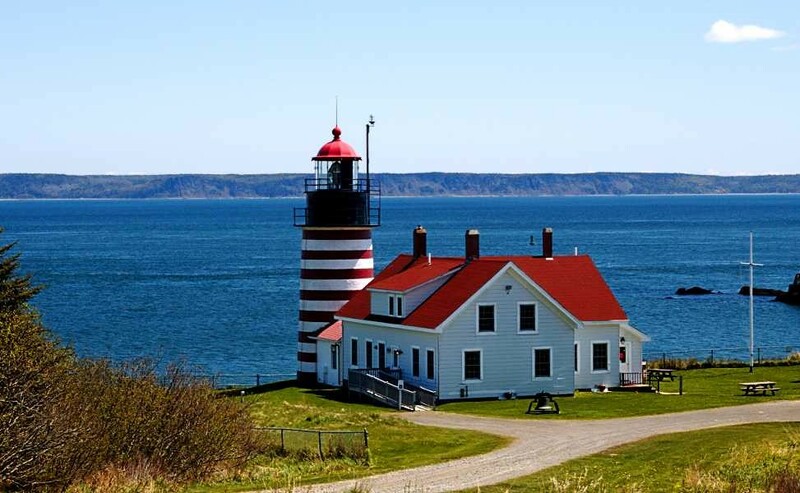 In the latter part of the 1800’s West Quoddy was considered a good assignment for a lighthouse keeper, in part as a result of its proximity to the town of Lubec, Maine. 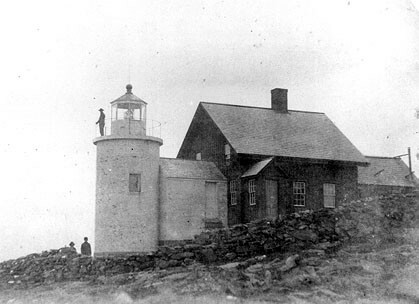 In fact, when one of the keepers of the light failed to keep up the maintenance of the site, he was transferred to a less desirable location as a punishment. 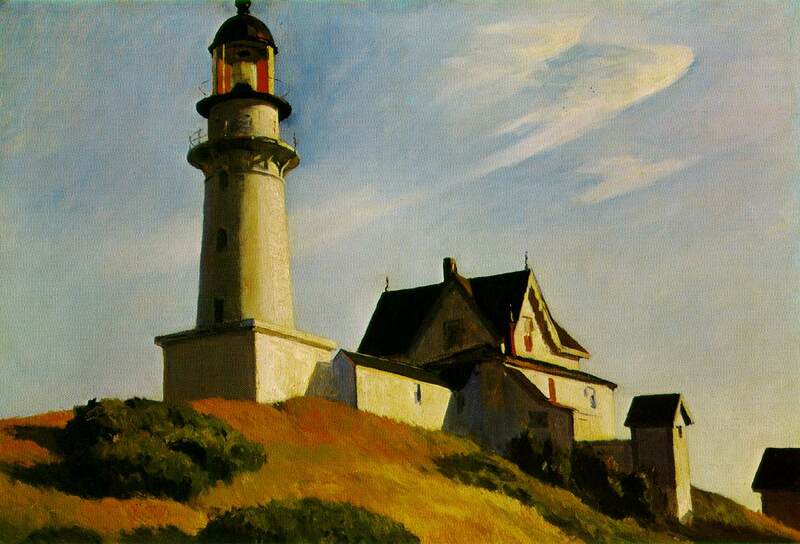 He resigned, rather than return to the harsh conditions at the station to which he was to have been assigned. The lighthouse grounds are now part of Quoddy Head State Park, and there are trails along the coastline, and through the woods, with picnic tables, and steps down to the rocky shore. 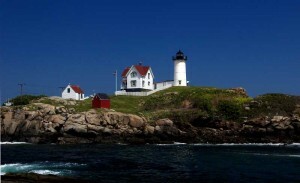 Whales and bald eagles can often be spotted near the lighthouse. 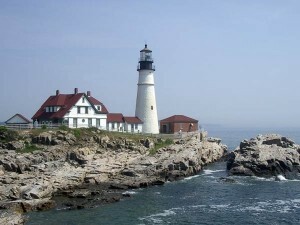 It is a site that is well worth a visit. 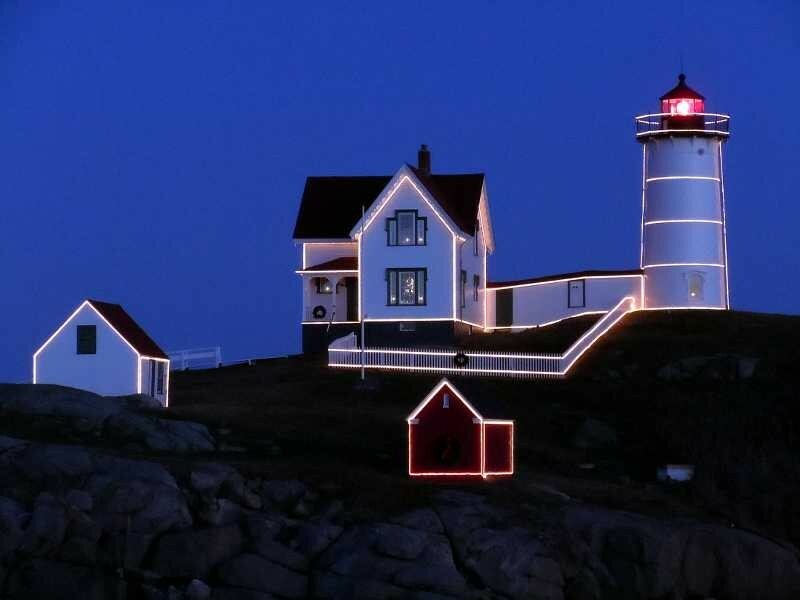 While there, a short drive takes you to the town of Lubec, where you can see Maine’s Lubec Channel lighthouse, cross the bridge to Canada’s Campobello Island, vor iew Mulholland Lighthouse across the channel. West Quoddy Head Light Station is about 4 hours from Brewster House, but it is well worth the drive. The drive itself is a beautiful one. 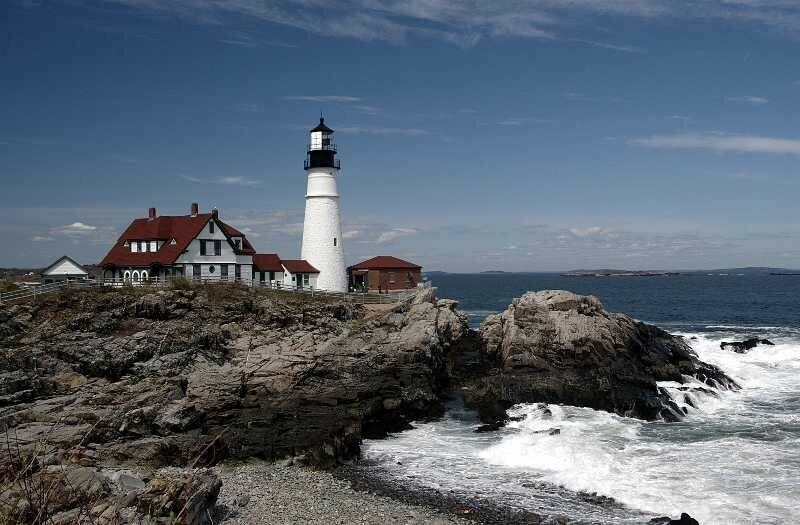 We left after breakfast, had lunch at Quoddy State Park, and still had time to explore Lubec, then make several stops on the way back home, for a full day of exploring.